Salad's a snap for tonight's barbecue! 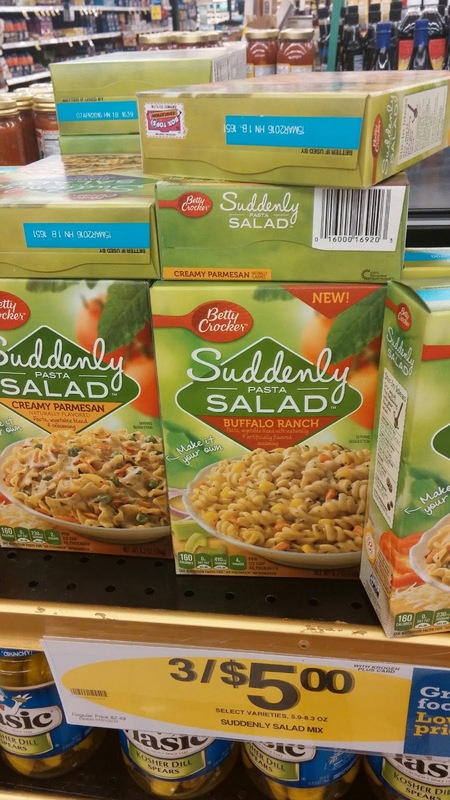 A box of Suddenly Salad® mix and a few extras are all you need. 1 Empty Pasta mix into 3-quart saucepan 2/3 full of boiling water. Gently boil uncovered 12 minutes, stirring occasionally. 2 Drain pasta; rinse with cold water. Shake to drain well. 3 In medium bowl, mix seasoning mix, dressing and dill weed. Stir in pasta and remaining ingredients. Store any remaining salad covered in refrigerator. 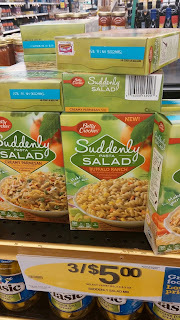 Suddenly Salad Savingstar offer as well!